Since holidays are for being with those we love most, how are we expected to cope during this memory-provoking season if a loved one has recently passed? Whether you are a senior who has lost a partner, or an adult child who has lost a parent, the holidays can now signify an emotional, depressing and often stressful experience. 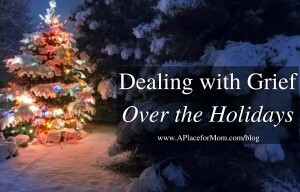 For many, the holidays magnify the loss, and become the time of year that’s the hardest for grieving. This is precisely why the need for support, and often help, is necessary during the holidays. Read below to learn how confronting grief can help heal the pain, no matter the situation. Whether you have an aging parent who has lost a partner, or you are spending your first Christmas, Hanukkah or New Year without your parent, there are constructive ways to deal with grief during the holidays. There are few things in life more likely to lead to depression than losing a spouse — especially for seniors in their twilight years, according to geriatric psychologist, Dr. Kernisan. Dr. Kernisan adds that disengagement and change in behavior are big warning signs that something is off with your loved one, and are often prevalent during the holidays after a spouse is lost. It’s being aware that there is a problem that is more than grief that is important. Does your loved one have sudden or frequent sadness? Is there a loss of interest in activities they used to enjoy? Does your love one have hopelessness? Is your loved one experiencing excessive or unusual worrying? Have you noticed a difficulty in their learning new things? Are there new difficulties with mental tasks? Have you noticed problems in driving? Have there been mistakes with finances? Is there unusual spending of money? Is there a lock of social or purposeful activities? Does your loved one suddenly seem or feel lonely? Part 2 coming Wednesday December 23rd! It’s natural to worry about being alone, especially if you define yourself wholly or in part by those relationships you value. 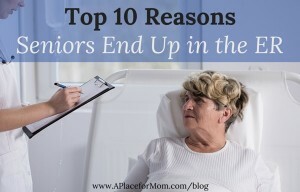 However, moving into senior living doesn’t mean you’ll lose those relationships. In fact, you just might value them even more. At the same time, a senior community provides new venues for social contact, not to mention on-site help when there’s an emergency. Find an outside outlet for your feelings. 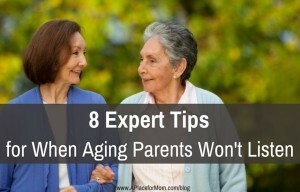 If you’re angry or resentful that Dad’s not with the program, vent to, confide in, or strategize with, a geriatric care manager, geriatrician, therapist, friend, sibling or online support group rather than your parents. Have you or your family had an experience before where your parents didn’t listen? What did you do to resolve the matter? Share your story with us in the comments below. Our parents always told us to listen to them, but what happens when they refuse to listen to us? Adult children are finding that Father doesn’t always know best when it comes to his driving, diet, housing, caregiving, health, medication or other important issues. Learn more about what to do when your parents aren’t listening to you. Mom Won’t Take Your Advice: Now What? Recent research out of Penn State University, the New Jersey Institute for Successful Aging and the Rowan University School of Osteopathic Medicine, found that 77% of grown children think their parents are stubborn about taking their advice or getting help with daily problems. Mary Heitger-Marek, a 46-year-old program analyst from Annapolis, Maryland, could write the book on parental stubbornness. In 2004, her parents were living in a condo in Florida with steep stairs and ongoing health problems. She begged them to move near her to a housing community with support. Instead, they bought a home in Florida with a yard and a pool. They also acquired a dog. Several falls (some from walking the dog) and multiple surgeries ensued. They refused to hire help for either themselves or their house. Two years ago, they moved to independent living near Heitger-Marek, again refusing a professional caregiver. Last October, her dad died; since then, her mother has been hospitalized four times. Now she’s in rehab but plans to move in with Heitger-Marek. She’s still vowing not to have outside help. “My parents’ life decisions have greatly impacted me and I am very resentful,” says Heitger-Marek. “I love my mother, but I am at my wit’s end. I can’t even begin to tell you how many times my husband and I have suggested options to improve my parents’ quality of life and they have turned us down. I feel like we could open a senior care business because of all the programs, aid and other things we have looked into for them. Trying to understand the motivation behind their behavior. Suzanne Modigliani, a Boston-based geriatric care manager with a social work background, says to ask yourself: Are they acting this way out of habit, to assert independence, or because they’re depressed or confused? What are they afraid of? Decide how important the matter is. Is it a safety issue or something that is just irritating but inconsequential? As the saying goes, pick your battles. Think ahead. Is there a milestone they want to be around for, such as a wedding, graduation or anniversary? Then bring it up! Stop by on Friday for Part 2 for this blog. We will have our Annual Garage Sale this Thursday October 8th from 7am-4pm and Friday October 9th from 7am-12pm. Strokes, heart attacks, falls — these are the conditions we usually think of as landing older adults in the emergency room. But, seniors visit the ER for a lot of other reasons that may be just as critical, such as adverse drug effects, infections and COPD. Injuries and Accidents: Injuries,falls, traffic accidents, even exhaustion — these are the types of acute issues that most often land seniors in the emergency room, according to the CDC. Heart Disease: Some of the most common symptoms reported by seniors in emergency room visits are chest pain and shortness of breath, both potential indicators of heart disease, which is still the leading cause of death in the U.S., as reported by the CDCand Discovery Health. Chest Pain: As mentioned above, chest pain can be a symptom of heart disease; it can also be caused by other problems such as heart attacks, injuries, blood clots, respiratory infections, or even gastrointestinal issues, according to the CDCand WebMD. Adverse Effects and Complications of Medical Treatment: Adverse drug reactions are a shockingly common cause of emergency room visits in the elderly, including unexpected side effects, interactions with other drugs, or inappropriate self-medication, as reported by the CDCand NIH. Abdominal Pain: Digestive disease, food poisoning and infection can all cause abdominal pain or nausea; so can kidney stones, which may result frommalnutrition,dehydration or other medical conditions, according to the CDC and Discovery Health. Chronic Obstructive Pulmonary Disease: According to the CDC,COPDcovers a number of conditions including bronchitis, emphysema, and chronic airway obstruction. Fatigue, coughing, and shortness of breath are some possible symptoms, as reported by the CDC and WebMD. Pneumonia: Pneumonia is one of the most common upper respiratory infections to land seniors in the ER. Signs may be milder in older adults, and can include shortness of breath, coughing, and confusion or delirium, according to the CDC and WebMD. Urinary Tract Infection: This is yet another reason why seniors should make sure they’re getting enough fluids-31% of seniors are chronically dehydrated, and one of the best ways to prevent UTIs is to drink plenty of water, as reported by the CDC. Stroke: Stroke is the third leading cause of death in the U.S. It has distinct pattern of symptoms, which means a vigilant caregiver can often prevent long-term damage if the patient is treated quickly enough, according to the CDC. Spinal Disorders: Back pain is another symptom that commonly brings seniors to the ER, whether the pain is due to an injury to the back or neck, a vertebral disorder, or an inflammatory condition such as arthritis, as reported by the CDC. If you’re a family member or caregiver of an older adult, be sure to familiarize yourself with the symptoms of these common emergency medical issues, and you’ll be better prepared to deal with them if they should arise. Continue reading part 2 of ‘Helping a Senior Adjust After Moving to Independent Living’. Acknowledge your loved one’s loss:Realize what your loved one has lost by moving out of a home they’ve lived in for decades. Anticipate their grief—which will likely occur, regardless of whether or not the move was their idea—and help them cope in any way you can. Prepare for the move:Avoid unnecessary stress by packing well in advance of the move. Take the time necessary to help your loved one carefully go through their possessions and decide which items to take, which to give away and which to discard. Make sure that any questions you or your loved one have regarding the move-in process and what a new resident can expect over the first few days are answered by the community ahead of time. Help them get settled:Encourage relatives to assist with the unpacking and decorating of an elderly loved one’s new home. “There’s a certain level of excitement and anticipation that accompany setting up a new place,” Having family members involved in this process often makes new residents more comfortable and at-ease. Also suggest sharing a meal together in the community dining area. Let them go:Knowing when to step back and let a loved one get on with their new life in independent living can be tricky—there’s no one sign that will tell you it’s time to let them go. This is why selecting the right community is essential. After the initial move-in period, it will fall on the men and women in your loved one’s new neighborhood to step up and help. While it’s certainly important for pre-existing friends and family to make an effort to visit an elder in independent living, a resident’s day-to-day socialization opportunities should stem from their peers in the community. Connecting early on with other elders in the community is critical for newcomer, you’re never too old to make a new friend. Moving can be a notorious source of stress, regardless of an individual’s age or life situation. Disrupted routines, the challenge of finding a new home, and the hassle of packing and unpacking all of one’s personal belongings are just a few of the factors that contribute to the stress-inducing power of a major move. But a move to independent living is not the doom-filled ordeal that many older adults believe it to be. These communities are often places of enhanced independence for residents, prolonging an elder’s ability to remain self-sufficient by providing assistance with housing maintenance, transportation and socialization opportunities.”The senior is gaining more choices for activities and outings that they may not otherwise have access to.” For instance, during the summer months at Hickory Glen we take our residents to music outings around the city. We provide the transportation; all they need to do is have fun! If bad weather keeps residents cooped up, a community can plan extra indoor activities to keep them active and occupied. Independent living communities in areas where this kind of weather is common provide shoveling and plowing services to ensure residents’ safety and enable them to venture beyond their apartment, despite the ice and snow. There is a distinct difference between independent living and assisted living communities, especially when it comes to how self-sufficient the residents are. Unlike assisted living facilities and nursing homes, independent living communities don’t cater to elders who need significant medical care or round-the-clock supervision, so the men and women living there are still capable of maintaining a relatively active lifestyle. Despite the benefits of independent living, there’s no denying that the transition from a family home to a senior housing community can be challenging for an aging adult. Outgoing adults adapt more easily to the transition. Elders who are naturally shy, on the other hand, can easily become overwhelmed by the prospect of interacting with an entirely new group of people. These individuals are often reluctant to leave the sanctuary of their new dwelling, fearing the interpersonal interactions that research has shown to be vital to maintaining mental and emotional well-being in seniors. Here at Hickory Glen each floor has a designated Greeter. This greeter helps new residents adjust to Independent Living by showing them the ropes. They help answer questions, remind of dining hours and activities, and are always a friend to lean on. Check back on Thursday for Part 2 to find out how family members can help with the adjustment.